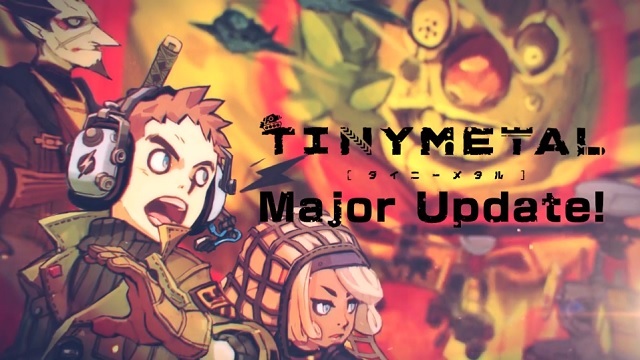 It’s just been announced that TINY METAL received a new free update. An online multiplayer mode has been made available for Nintendo Switch, PS4 and Steam. You can go up against real live opponents in one of eleven maps. Also, the story campaign has been added onto with six new missions. In addition to this new update, the game is currently on sale as well. It has different sales across systems and regions. The Steam holiday sale has the game at 60% off for its duration. On Nintendo Switch and PS4 in North America, the game is 50% off. That sale runs from now until January 8th. In Europe TINY METAL will be 50% off from December 21st until January 18th for PS4 and January 7th through January 18th for Switch. Check out the new trailer down below.